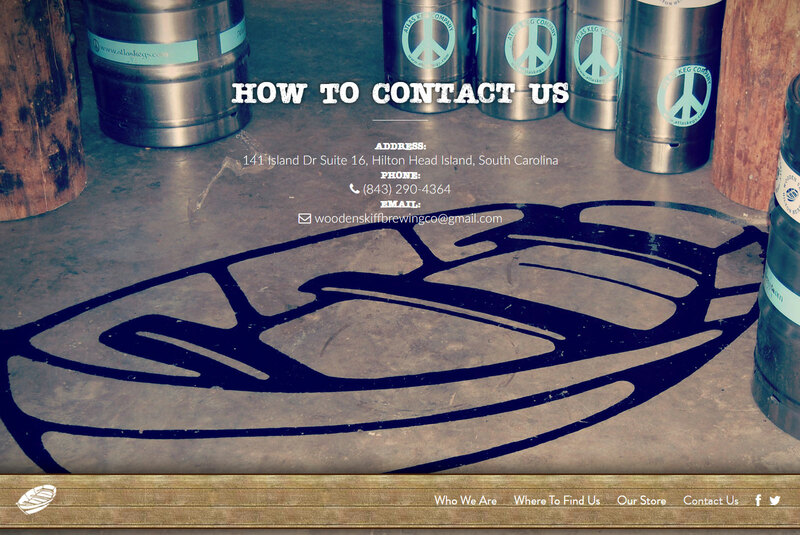 The Wooden Skiff Brewing site was another quick and dirty site that included a template, an on location photoshoot, and designed badges for each of their brews. 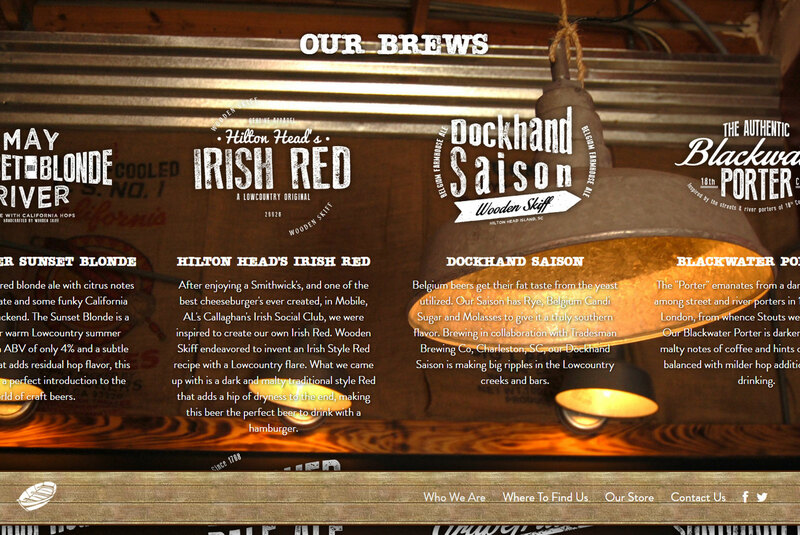 The basic contained a badge designed list of the brews, a short bio, and an interactive map that tells users where they can find Wooden Skiff beer. 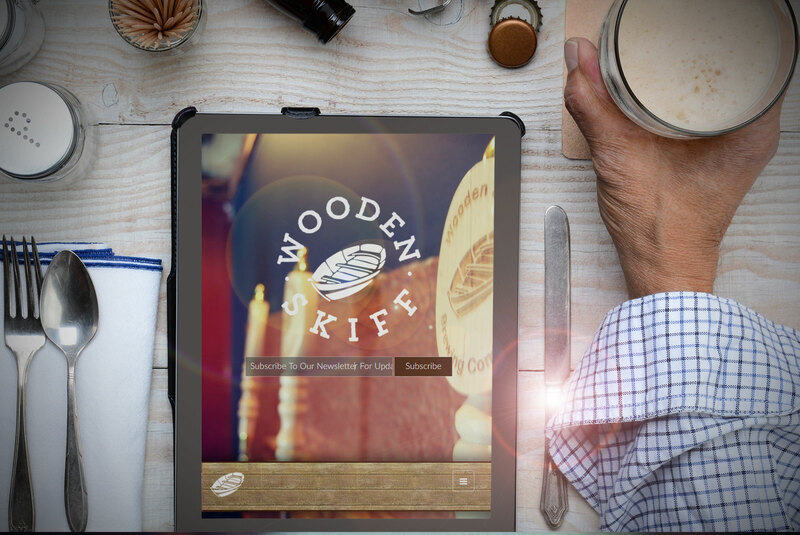 The Wooden Skiff landing page is pretty traditional in that it is simply the logo, a background, and an newsletter signup form. This creates a simple call to action, and helps the user understand what to expect from the simple. This is our favorite page on the site. It shows off the badges we created for each of Wooden Skiffs brews. The page also includes a short bio and team section, but the badges show off the range and selection that Wooden Skiff has to offer its fans. The "Where To Find Us" page contains a fun interactive Google Map that shows the retaurants and bars that proudly offer Wooden Skiff. 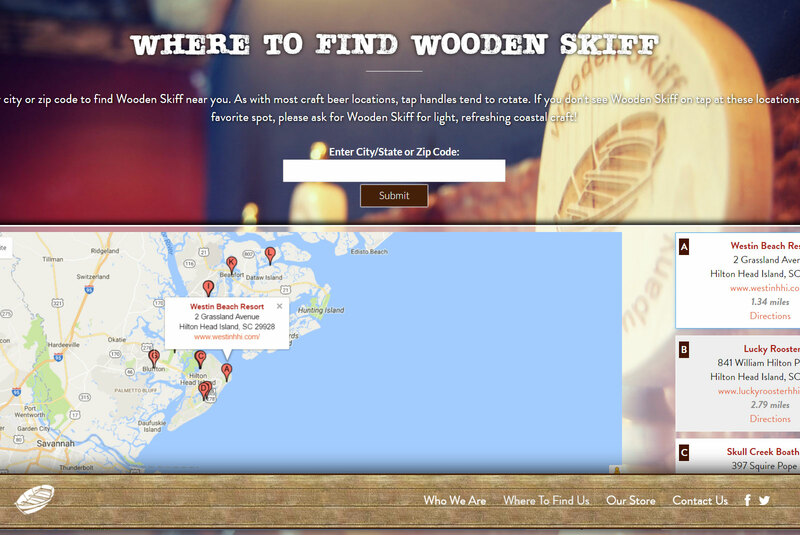 Simply plugin your city or zip code and if there is Wooden Skiff near by, the map will show you! Like the rest of the site, the contact page is short and sweet. Basic information over top of the site wide slide show.